There have been many theories and discoveries about the 66 million-year-old crater which was formed when the asteroid hit the Earth. This is the very same asteroid responsible for the demise of dinosaurs. 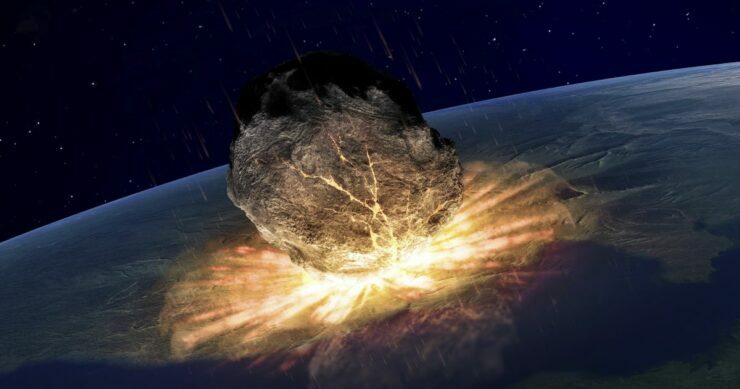 One such reconstruction of the event has been made this year when scientists analyzed the rocks, drilled out by the remnant bowl formed due to the impact of the asteroid. Studies have found that the impact of the asteroid was so strong, that it made the Earth’s surface slosh up and down like liquid. What is fascinating is that this very impact during a particular stage of the process had made a mountain, twice as high as the Himalayas before it settled down to smaller peaks and troughs. This report was given in the Science journal, last week. Here’s another mind-blowing fact about this 66 million-year-old asteroid event which scientists have recently come across. All of this, the slosh effect on the Earth and the creation of the Himalayas, happened within a matter of minutes. This statement was given to the BBC by Joanna Morgan from Imperial College of London. How does the analysis gel in? 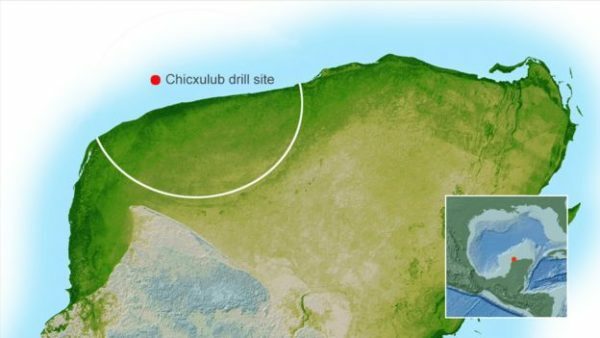 These discoveries were the outcome of the team that spent May and June of this year drilling a hole into this asteroid-formed crater, which is known as the Chicxulub Crater. It is located in the ocean of Mexico’s Yucatan Peninsula. The team targeted a 200 km zone in the crater in the form of a bowl which is known as the “peak ring”. They were expecting, if earlier ideas were right, to find solid granites deep in the crater, as deep as 10 km. And right they were. They did find granite, except they were not normal granites. They were deformed to their limits, an evidence that they had been subjected to a colossal amount of force. These findings were in line with the fascinating narrative of the event. Which was that the asteroid was roughly 15 km wide, and hit the surface of the Earth so hard, it punched a hole as deep as 30 km and 80 km wide. Then, this force along with gravity was responsible for creating depressions that started to collapse inwards. Every force has an equal reaction to it, so the Earth’s surface rebounded back and in the process of rebounding, it pushed the rocks higher than the Himalayas and then back again into the same hole it originated from. The study has already given scientists more insight into the environmental changes which occurred after this event. Further research is in progress for some more mind-blowing insights into this cataclysmic event.